Even the simple act of asking our children for affection can be more about us than about them—Kids need to feel safe holding back. A beloved friend, we’ll call him Sam, came to visit for the weekend. Sam is an amazing man who has been friends with my husband, Jesse, since birth. He’s generous and funny and one of my favorite conversationalists. He has a grey brillo beard and bristly appearance, and a laugh that is wildly contagious. But even though my six-year-old daughter, Opal, has met him a handful of times, Sam wasn’t a familiar presence to her, and she was tentative. The day after Sam’s arrival, he said good morning to Opal and grabbed her and kissed her on the head. It was a speedy gesture that obviously stemmed from simple affection—his affection for Jesse and I and, perhaps, his wanting for Opal to be as fond of him as we are. He has a big personality—outspoken, gregarious, the whole package. Opal pulled away and made a grunting sound— I could tell she was a bit shocked. Known her, sure. But, aside from his less-than-annual visits, the ‘knowing’ has been from a distance. Sam said he wanted to buy Opal a gift while he was in town. Again, very sweet; he wanted to connect with her, make an offering. So he bought her a gift that we picked out, something we knew Opal would love. We were all gathered together in the living room of a friend—Jesse, Opal, myself, and a handful of other friends—when Sam presented Opal with the present. She opened it and was thrilled, just the thing she wanted with the tiny animals and the tiny camping set! She sincerely said, “thank you,” without prompting. A lovely moment, if it had been left there. But then Sam said, “Gimme’ a kiss,” and leaned forward indicating that he wanted her to kiss him on the mouth, in front of a room full of people. Stubbly face and unfamiliarity notwithstanding, we are simply not a family who kiss on the mouth. But, with all her safe people around her and nobody objecting, she leaned in and kissed him quickly on the lips. We have spent so much time teaching Opal about politeness, thoughtfulness, empathy—but we hadn’t yet spent much time talking about when it is appropriate for her to make the choice to hold back, and to feel empowered in doing so. That did not sit well with me, but it also didn’t feel right to step in and make a big, awkward scene. I love this man, and I certainly didn’t want to insert paranoia or weirdness into Opal’s little mind where it may not have been necessary. A select few friends in the living room oohed and ahhed and one of them said, “Let me get my camera! Hug some more!” Opal did her best to oblige with a longer-than-she-was-comfortable-with-hug. Sam held her there, big smile, waiting for the friend to get her camera. I said, “Ok, ok, that’s good,” as Jesse shot a quick photo and it was all over. Later that night, in the calm and quiet of a sleeping baby and Jesse with Opal in her room reading books, a slur of intense feelings rattled through my chest and into my throat. These were feelings that I grappled with much more often when Opal was a baby, feelings of failing to protect my daughter as thoroughly as I would have liked. By the time Jesse came out of Opal’s room, I was in tears. My husband, ever-unruffled in any situation he is accustomed to—and after ten years of marriage, he is quite accustomed to my stout emotionality—said, oh honey. These were feelings that I grappled with much more often when Opal was a baby, feelings of failing to protect my daughter as thoroughly as I would have liked. Then Jesse and I got to talking, really talking, about how to proceed. About how we have spent so much time teaching Opal about politeness, thoughtfulness, empathy—but we hadn’t yet spent much time talking about when it is appropriate for her to make the choice to hold back, and to feel empowered in doing so. There would also be times when it would be right for her to make the choice to say no-thank-you, or even just plain no, to certain kinds of contact. Truth be told, I don’t remember ever feeling like I had the choice to say no-thank-you to a hug or a kiss when I was a child. I say this mainly because as I was growing up, and became old enough to have boyfriends, it was never an option in my mind to decline affection, for better or for worse. Then, as a new mother, a similar feeling came back when someone would ask to hold my baby and I felt I had no choice but to oblige. The idea that I could have said, “No, I’d rather not pass her around,” was not even in my vocabulary until right then on the maroon couch, when this conversation with Jesse made it so. My body went from feeling shaken and tumultuous to feeling settled, instantly. It was as if I had been breathing under a heavy blanket that he had just lifted and the air was cool and delicious. We then got to thinking about how conscious we are to not call Opal ‘pretty’ without tacking on another comment about her smartness or strength—like pairing a protein with a carb. But, until that moment, we hadn’t given much thought to our language around affection, the difference between asking and telling. These phrases we use over and over again must land somewhere in the psyche of our kiddos—such as this new wave of awareness around saying ‘you’re pretty’ to girls again and again. Is affection something we grab at or demand, or is it something that we offer from the stance that it is our choice? The next morning, as the baby napped and Opal, Jesse and I were rigorously playing with her new little toys with the tiny food, I brought it up. I told her we expected her to be kind, but we would encourage her to choose what felt right to her when it came to affection. “Honey,” I said, “I noticed you were very polite to Sam yesterday when he gave you that toy. It’s important to say thank you, and we heard you do that, on your own. But, you know, you get to choose if you want to hug or kiss someone. That part can be up to you for people you don’t know so well but who are friends of Mommy and Daddy. You can just smile, or give a high five, whatever you are comfortable with.” I told her we expected her to be kind, but we would encourage her to choose what felt right to her when it came to affection. “Ok,” she said, and smiled to herself. Then she continued to play, but with a bit more rigorous energy and confidence as she directed us in our game. This indicated that my words landed well with her. We had planned to see Sam one last time before he left, that night over margaritas and tacos. And, perhaps because of the conversation we had had with Opal that morning, the environment was relaxed, full of funny banter and ease. At the end of the visit, Sam asked Opal if he could have a hug. (I hadn’t said anything to him; he changed his tune on his own.) I was right next to her and she shot me a glance as if to acknowledge what I said earlier, as if she were flipping through her good-bye-options for showing affection. I interjected, “Or a high five, whatever you’d like—“ and before I even finished, she reached over and gave Sam a whopping hug that was so much more genuine since it was chosen for herself. 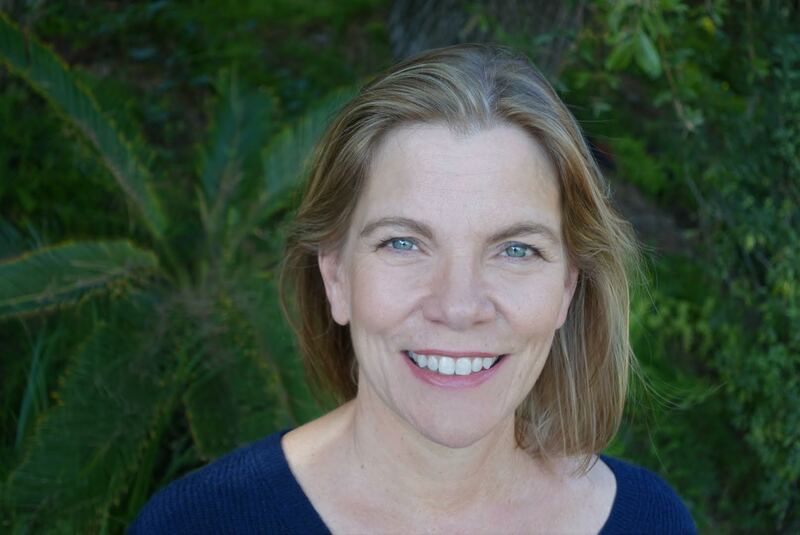 Author of The Mindful Child and former corporate attorney, Susan Kaiser Greenland developed the Inner Kids program for children, teens, and their families and teaches worldwide. 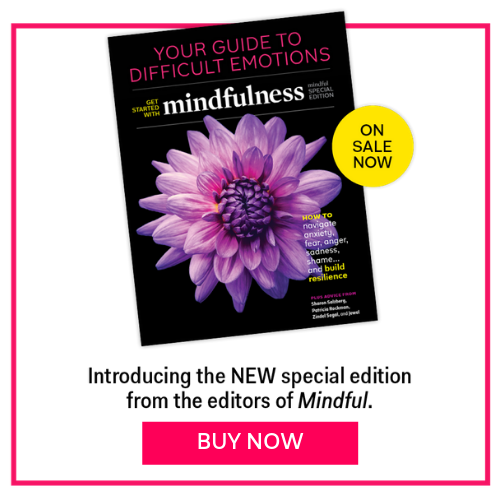 Her new book coming out in this Fall called Mindful Games: Sharing Mindfulness and Meditation with Children, Teens and Families is available for pre-order now. As I read this article this article by Heather Grimes I thought about motivation and how sometimes, even with the best of intentions, we mess up. In this example, a well-meaning family friend named Sam messes up when he attempts to show affection towards Opal, Heather’s adorable six-year old daughter. Had Sam checked his motivation before asking Opal to give him a kiss he probably would have discovered that, deep down, the request was a lot more about Sam than it was about the little girl. Asking a child to “gimme a kiss” is one example of the many situations where well-intentioned caregivers speak and act in such a way that they are inadvertently asking children to take care of them, rather than the other way around. On the surface “gimme a kiss” might seem like a perfectly innocent callback to the way that adults spoke to children in previous generations. I have faded memories of blue-haired distant relatives asking my brother, sister, and me for a kiss when we saw them, just once a year, during summer vacation. Parenting attitudes have shifted since then and exchanges like these, between adults and children who they don’t know well, are not very common anymore. Many close relatives still frequently ask kids for affection though, and my guess is that if they thought about why they’re asking for a hug or kiss most goodhearted parents and grandparents would quickly recognize that they are looking to a child to get their need for affection met. Phrases like “gimme a kiss” are often so deeply embedded in our minds that we say them without thinking about them. That’s why it’s useful to ask ourselves from time to time: What’s my motivation? It’s not something that’s on everyone’s radar, but it can be a good exercise to help us catch speech or behavior that might be problematic before it happens. A good place to try this are those moments when we get a funny feeling that something that we are about to do or say might be a little bit off. If we catch ourselves in time, we have the opportunity to exercise restraint before saying or doing something that we might be sorry for later. Here’s a practice that can help checking in on our motivations that become second nature. Exercising restraint tends to be easy to do when the stakes are low and harder to do when the stakes are high. That’s why we practice when the stakes are low because it doesn’t matter much if we’re successful. Just as we learn what to do in a fire by practicing fire drills beforehand, we learn to exercise restraint by practicing when we’re calm. This simple check-in can go along way towards creating more mindfulness within you and around you.